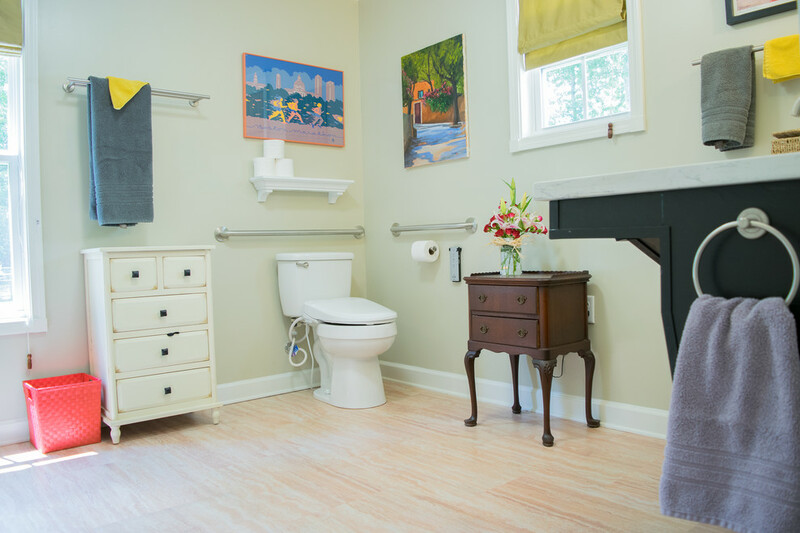 This bathroom was remodeled for wheelchair accessibility in mind. 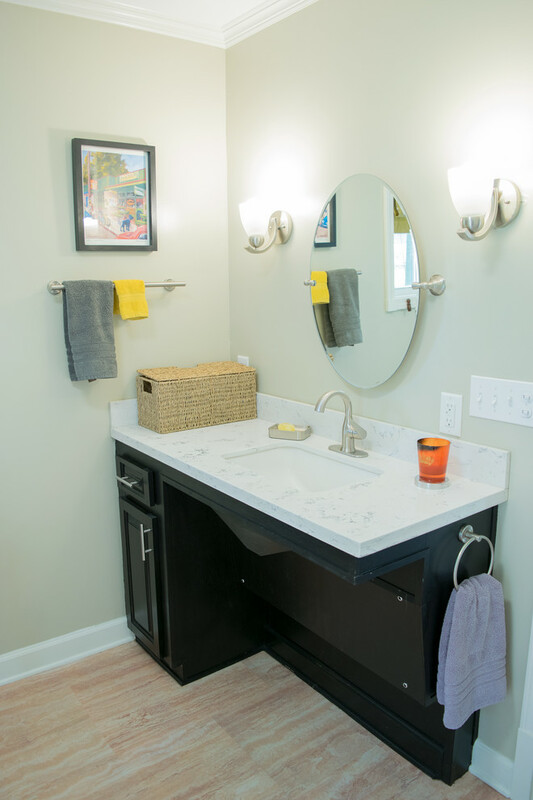 We made a roll under vanity with a tilting mirror and granite counter tops with a towel ring on the side. A barrier free shower and bidet were installed with accompanying grab bars for safety and mobility of the client. We built this island for the client after removing the old fixed island which had a stove installed into it with a vent above. We placed a new stove and built a new vent and converted the old vent into a lowered light fixture. Seen in another picture. We remodeled this kitchen removing the old immobile island in the center which contained a stove and above it, a vent. We placed a new stove and built a new vent for it. In place of the old vent we put in lighting. We also built a mobile island that can be pushed when it is necessary for it to be moved out of the way of our disabled client. A lower hanging light to make the counter top more visible and brighter. The front wooden ramp was built connecting the redone concrete driveway to the entrance. Out of the picture there are steps built in for shorter access. Ramps are ADA compliant. This wooden ramp was built from the driveway to the back of the house to enable our wheelchair bound client to reach the exterior recreation room without traversing through the home. 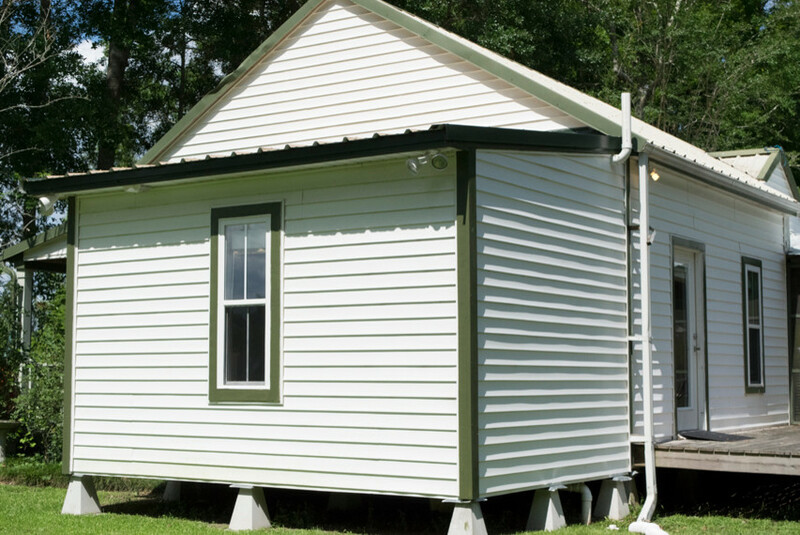 We placed in an addition to the home in order to accommodate some of our clients needs, including the extension of the bathroom and a personalized closet for the wheelchair.